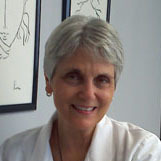 Fran Ammons, LAc, MSOM, is a Diplomat in Acupuncture. She is licensed by the National Certification Commission for Acupuncture and Oriental Medicine and the State of North Carolina and has been a practicing acupuncturist since 2001. She received a Masters of Science degree in Acupuncture and Herbal Therapy from Dongguk-Royal University of Oriental Medicine in Los Angeles, California, and is also a member of The National Acupuncture Detoxification Association (NADA), based in Washington DC, and The National Acupuncture and Oriental Medicine Alliance. Fran has been in the holistic care field since 1994 as a licensed massage therapist before her acupuncture licensure. In addition to acupuncture, Ms. Ammons combines her training with the fundamentals of the skin rejuvenation system developed more than 25 years ago by Dr. Charles McWilliams to provide patients with optimal health benefits from both.